Kuwait City, Kuwait - April 17, 2019 /MarketersMedia/ — The new website launched by Kuwait native Alhamad provides ongoing resources and a blog where the personal trainer provides motivation, advice, fitness techniques and workout plans. Although his clients will be the primary benefactors, the broader community is welcome to benefit as well. Majed Alhamad’s evolution into the personal training field was a natural one, as he has always been athletic as an avid soccer player in his youth. 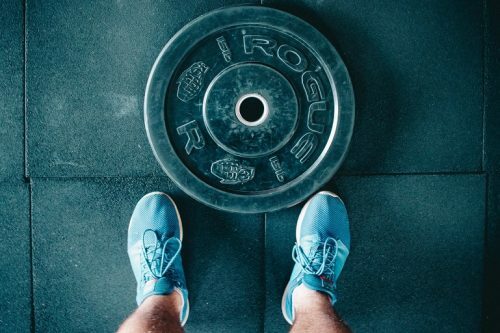 Since starting in the profession, Majed Alhamad has helped hundreds of new clients overcome their fear of the gym, as well as seasoned athletes, learn the fundamentals of fitness to avoid injury and achieve progressively higher goals. As a nutrition expert, Majed Alhamad encourages his clients to follow the advice of Hippocrates: “Let food be thy medicine, and medicine be thy food.” Removing processed foods from the diet, he advocates for nutrient-dense whole foods as a natural solution for quick athletic recovery. Additional information about nutrition can also be gleaned through the new website. Specializing in helping clients at any level crush their goals, Majed Alhamad never underplays his role as a certified personal trainer. His priority when it comes to working with clients, regardless of their level of knowledge and experience, is to help them understand the fundamentals of personal fitness. Building from there, he relies on his background, training, and expertise to help his clients achieve and surpass their fitness goals. When not working in the field or helping athletes crush their fitness goals, Majed takes a personal interest in improving his community. He believes that giving back is another essential component to his overall wellbeing. As an active volunteer at the local soup kitchen, Majed stays true to his roots as a nutrition expert in the health and fitness field.